Google’s parent company Alphabet has made a major investment in developing new technologies for the millions of people across the globe living with diabetes. Alphabet has a life sciences arm—known as Verily—which announced, today, they are teaming up pharmaceutical giant Sanofi to fund and develop new joint effort they are calling Onduo. Based in Cambridge, Mass, Onduo will focus on aiding clinicians—and their patients—to manage the chronic disease. 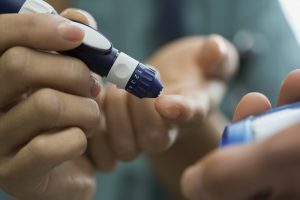 Their main focus, at least at first, will be on caring for type-2 diabetes patients; the most common form of the condition, of course. It is a smart combination of technology and health care from two companies who are leaders in their respective fields. Accordingly, the new company will leverage Verily’s consistent experience in miniaturized electronics and analytics and consumer software development as well as Sanofi’s clinical experience and long-developed expertise in the development of diabetes treatment innovation. The two companies forming Onduy have brought in the highly trained emergency medicine physician Joshua Riff—of United Healthcare-owned Optum—to act as CEO. While not many specifics have been revealed as yet, both Alphabet (Verily) and Sanofi have plans to invest $500 million in this team effort. However, Riff also makes sure to mention that they plan to continue working on various aspects of diabetes including nutrition, physical activity, and quality of life that lead to the development of Type 2 diabetes.